How to Add Email to Your Online Marketing with RLFCM! According to everyone, reports of the death of email are greatly exaggerated. Everyone else who knows inbound and outbound marketing agree: email is very much alive and well. One of the stats we keep top of mind from HubSpot course is that email marketing has an ROI of 4,300%. That’s right – spend a dollar and estimates are that you’ll get about $43 in return. Try getting a better rate from your bank! Of course, that type of a return probably assumes a number of things: that your marketing personas accurately identify your customers, that the emails you send are sent to them at the right time, that the emails are responsive, etc etc etc. And while we might not be able to promise that you’ll see that type of return on your email marketing (hey – you might see more! ), the experts who work with and for ReferLinks Full Circle Marketing have the “assumptions” covered. The first thing you need correct to get a return on your email-marketing-investment is to have your audience and buyer personas defined. At ReferLinks Full Circle Marketing, we work with our clients to fully understand who the buyer persona is that we’ll be messaging. We also get an overview of who your current subscribers are, and where they are in your current marketing process. Are they ready to purchase? Did they just sign up for your emails? Are they ready to make a purchase? And if so, how will we know? We want all of your current and future subscribers to feel good and enjoy reading your emails. 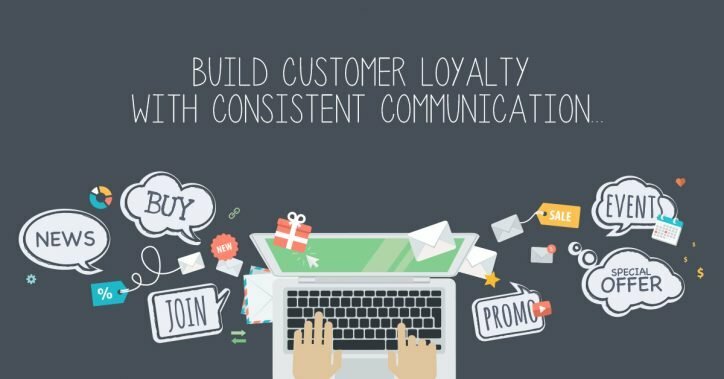 This means that every subscriber receives information that’s relevant to them and where they are in the relationship with your business.Making sure that they receive relevant information will nearly guarantee that they don’t hit the ‘unsubscribe’ button, and that they move along to eventually purchasing your products (if they haven’t already). Our analysis of your audience, buyer persona and current subscription base will help us to plan out the strategy of your emails, schedule them so that members of your subscriber list get regular updates, and develop the content for each campaign. It will also help our design team with planning how your emails will look and feel, and making sure your emails are consistent with your brand. We also work with our clients to design the content and calls-to-action that will be included in each email — information that will help move your subscribers forward in your relationship with them. An essential component of this step is creating email templates for your campaigns that are responsive. Estimates are that the number of people who open emails on their mobile phones has gone up from just below 50% a few years ago, to over 50% today. Another key step in getting results from your email marketing is checking how your campaigns are performing. We look at every possible statistic that could be generated from email marketing – meaning open rates, clicks on links and buttons, and successful completions of your calls-to-action. We also look at statistics that could point to where improvements are necessary, such as unsubscribe clicks, or changes in the number of people who have stopped opening your emails. This information will clue us in on potential changes that might need to be made so that your emails start returning those investments for you! Ready to see how much ROI email marketing can get for you? Reach out to us today! We’re ready and happy to talk. This entry was posted in Email Marketing and tagged Customer Loyalty,email marketing,Knowing Your Audience,Mobile Emails,Return On Investment on August 12, 2015 by ReferLinks Online Marketing.